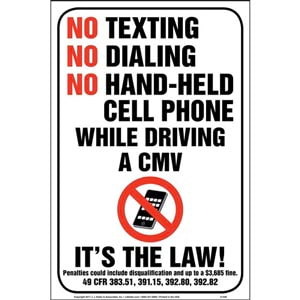 Traffic sign constructed of high-intensity prismatic reflective aluminum and measures 12"x18". 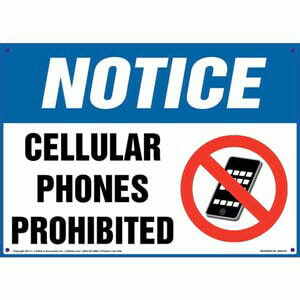 Facility sign clearly indicates cell phone use is not allowed in a given area. 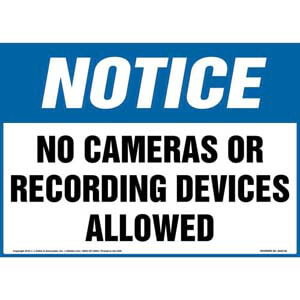 Notice sign reinforces that use of a camera or recording device is prohibited. 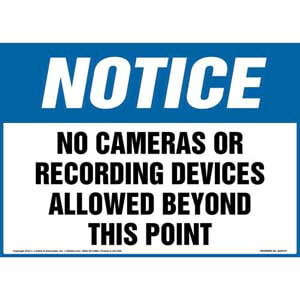 Notice sign reinforces that use of a camera or recording device is prohibited beyond a given point. 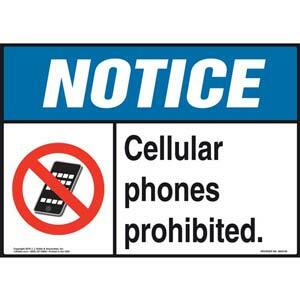 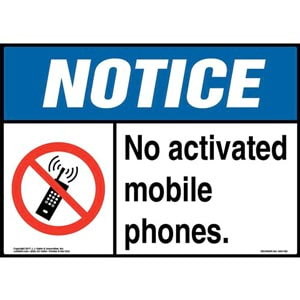 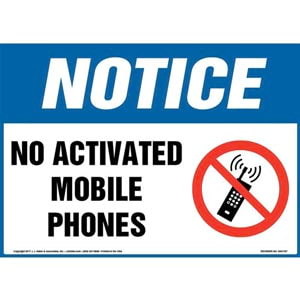 Notice sign helps prevent workers from using mobile phones in hazardous areas. 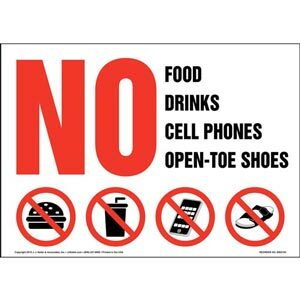 Sign informs individuals that eating & drinking, cell phones & open-toed shoes are not allowed in designated area.